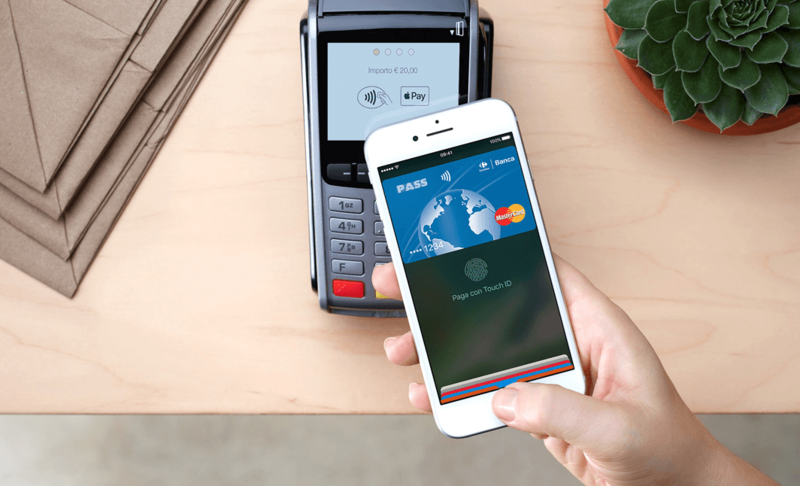 Apple Pay continued its global expansion today adding three Italian banks, Carrefour Banca, Unicredit, and Boon. Each financial institution’s credit and debit cards can be added to Apple Pay and used in a variety of retail shops and with online retailers. The addition of Italy to the list of countries with Apple Pay support had been widely anticipated since March when the payment service was first listed as ‘Coming Soon’ to Italy. In total, Apple Pay is now available in 16 countries worldwide. Later this year, more financial institutions will be added to Apple Pay in Italy. According to Apple’s Italian Apple Pay website, American Express, CartaBCC, ExpendiaSmart, Fineco Bank, Hype, Mediolanum Bank, N26, and Widiba will be adding Apple Pay support. The site also lists some of the major retailers that have signed up to accept Apple Pay in Italy, including H&M, Eataly, Auchan, Carrefour, Simply Market, OVS, Limoni, Sephora, Esselunga, and others.